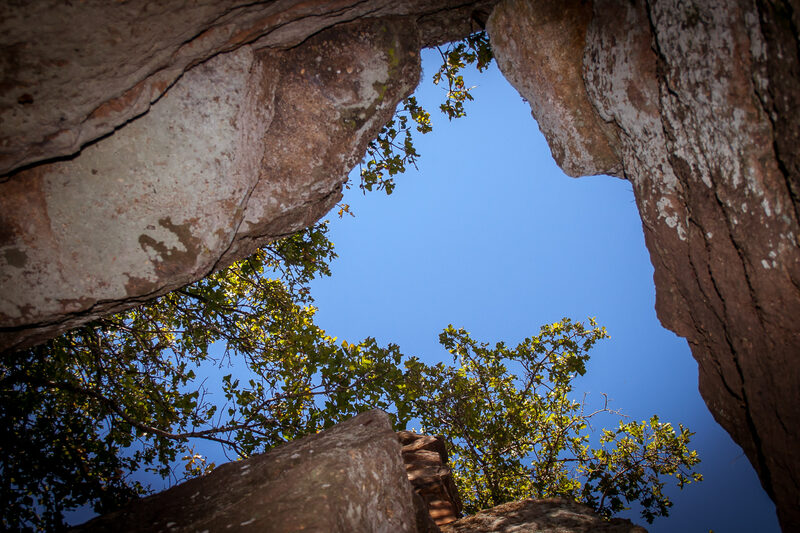 The back drive of Mineral Wells, Texas’ Baker Hotel, abandoned since 1963. 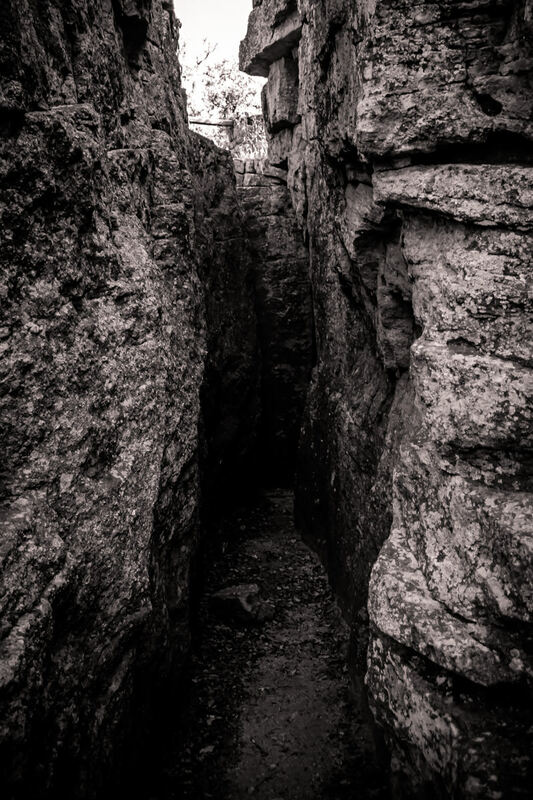 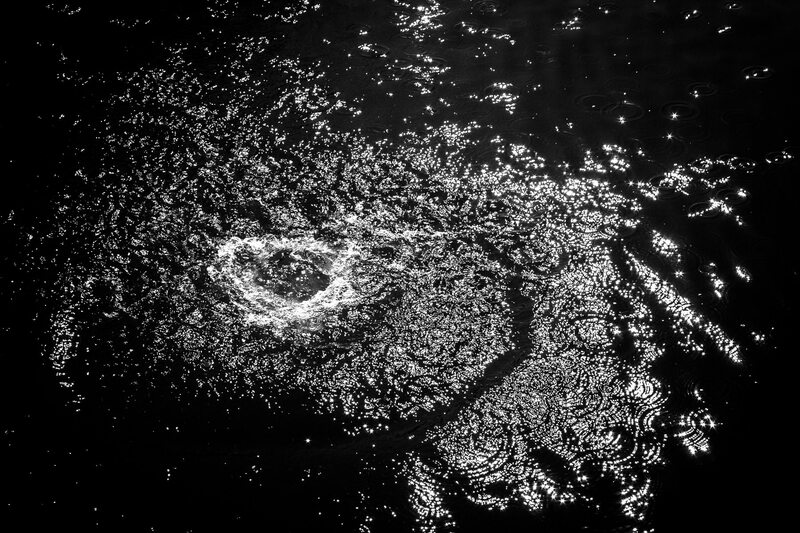 A claustrophobic crevice between two rocks at Lake Mineral Wells State Park, Texas. 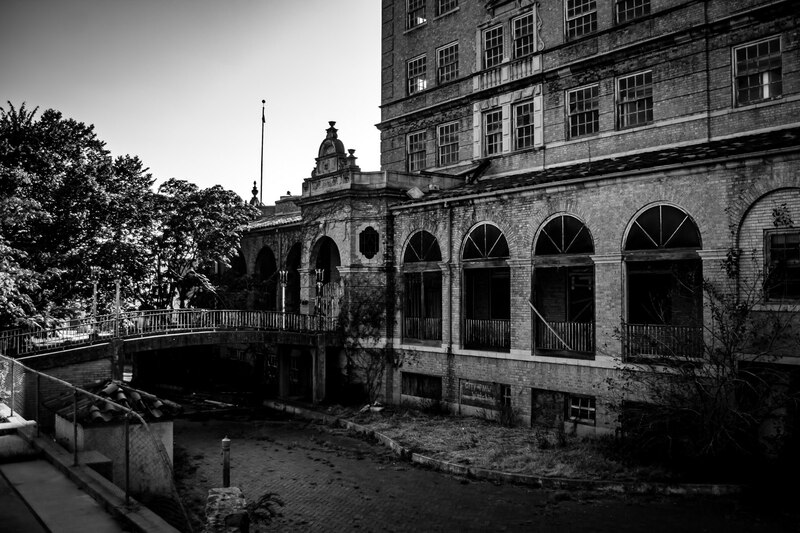 The long-abandoned Baker Hotel in Mineral Wells, Texas. 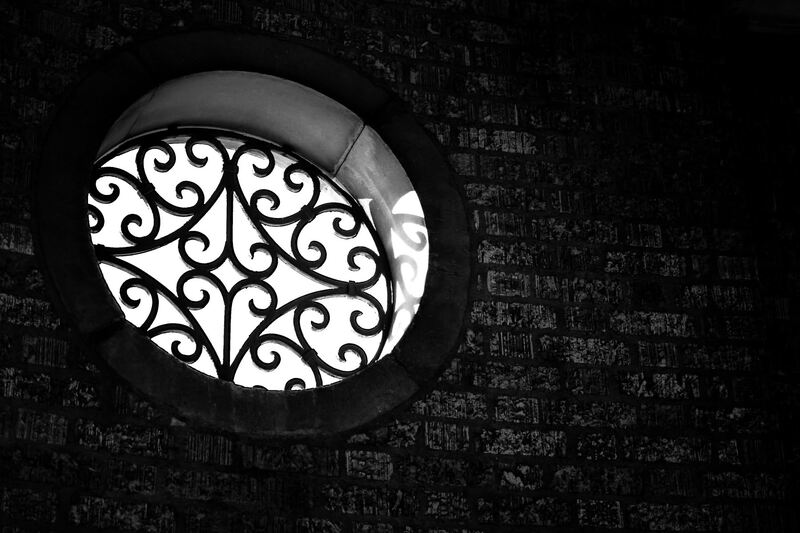 A decorative window lets in the sunlight at the abandoned Baker Hotel in Mineral Wells, Texas. 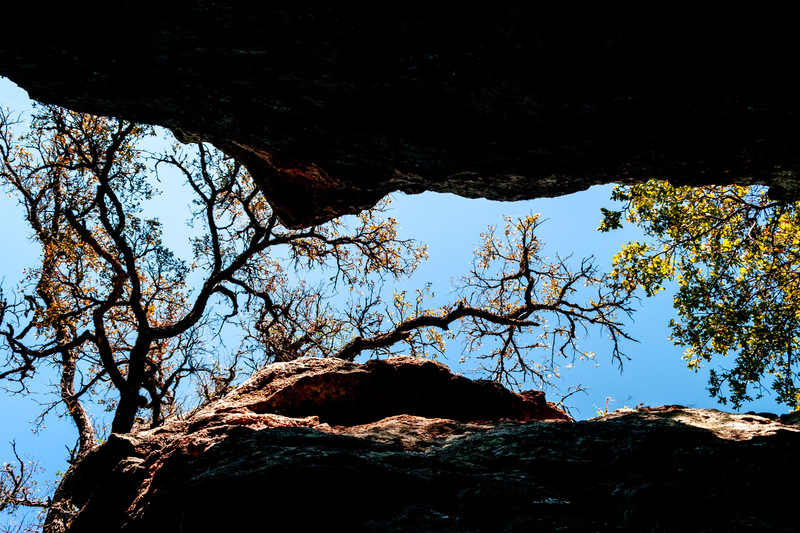 The sky and trees rise beyond a rock crevice at Lake Mineral Wells State Park in Texas. 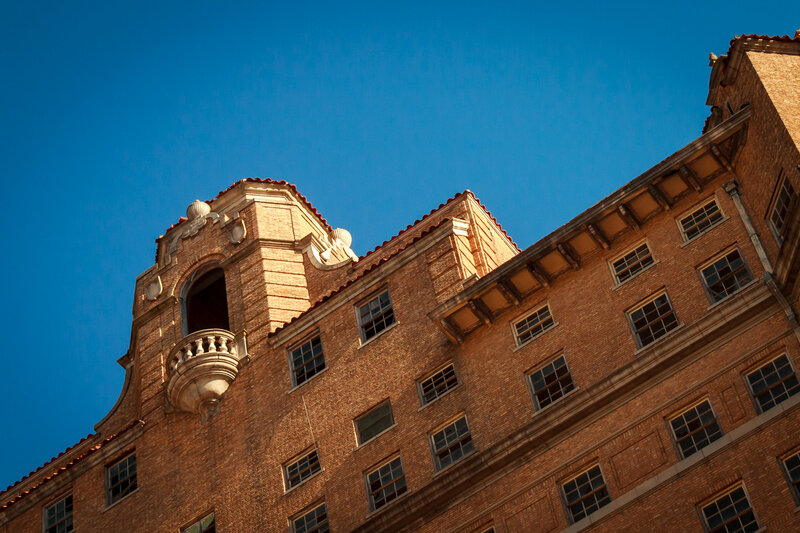 The long-abandoned Baker Hotel in Mineral Wells rises into the clear blue Texas sky. 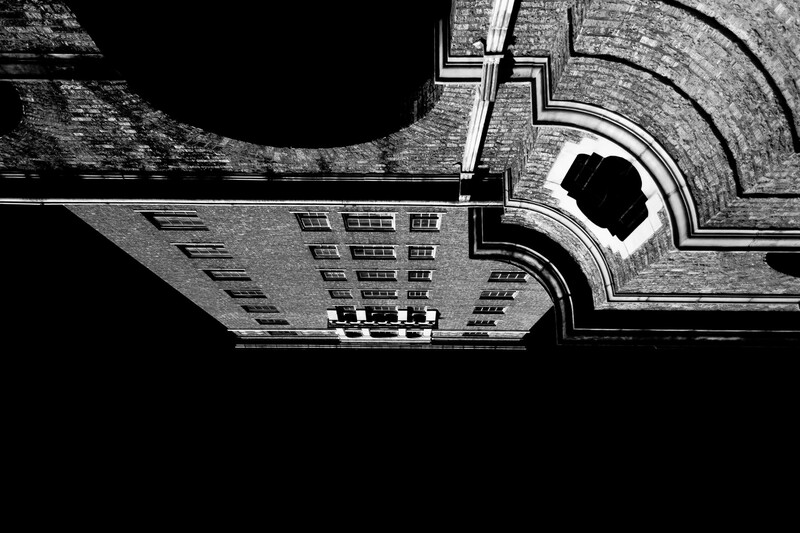 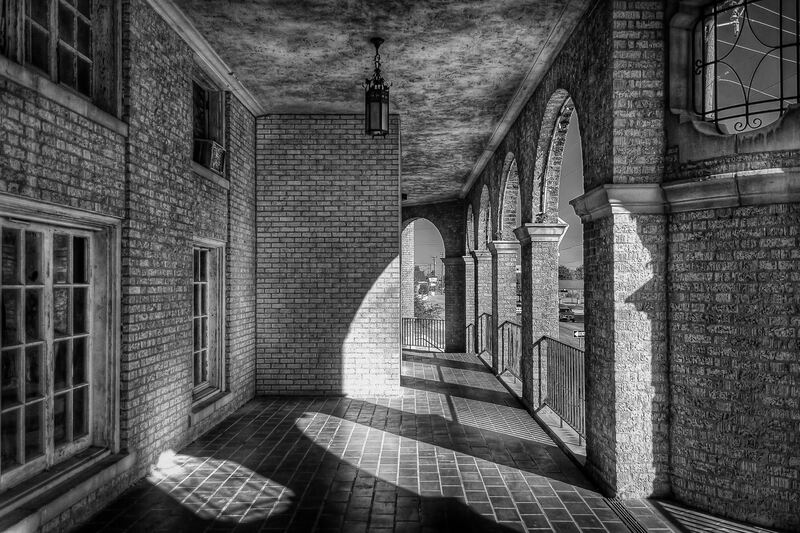 Detail of the veranda of the rotting Baker Hotel in Mineral Wells, Texas. 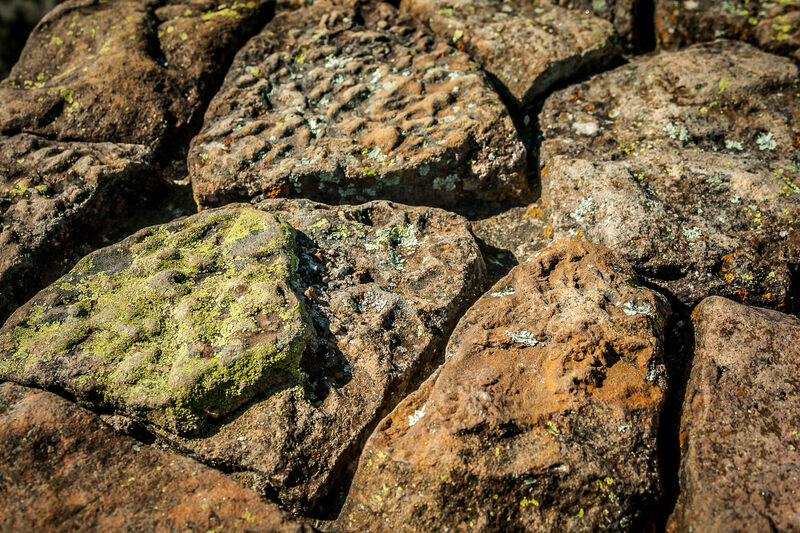 Detail of lichen-covered rocks at Lake Mineral Wells State Park, Texas.